For the past few weeks, all we are reading or hearing in the news is speculations about Sonam Kapoor’s wedding. There have been many assumptions and rumours these past few weeks about the wedding. There were reports that said that Sonam will get married in Geneva, then there was news of her having a palace wedding and recently the news reported that she will be having the wedding ceremonies in Mumbai itself with all her family and close friends. Sonam Kapoor has been dating boyfriend Anand Ahuja for quite some time now. The two are often spotted at various public events together and they never shy away from showing affection towards each other on social media. The recent sources reported that Sonam and Anand will tie the knot on 8th May 2018 in Mumbai and from the looks of it wedding festivities seem to have begun at the Kapoor residence. The wedding will take place at Sonam’s maternal grandmother’s house which is very close to Shah Rukh Khan’s ‘Mannat’. The pre-wedding ceremony including the Mehendi and Sangeet will be organised at the banquet hall of the building in which Sonam has purchased a duplex recently. The reception will be hosted on the day of the wedding at a five-star hotel in the city. The preparations for the wedding are in full swing these days. There were reports a few days back that Sonam’s cousins have already started dance practice for the sangeet ceremony. Last night, the paparazzi caught the glimpse of Sonam Kapoor’s residence which was all lit and beautifully decorated. 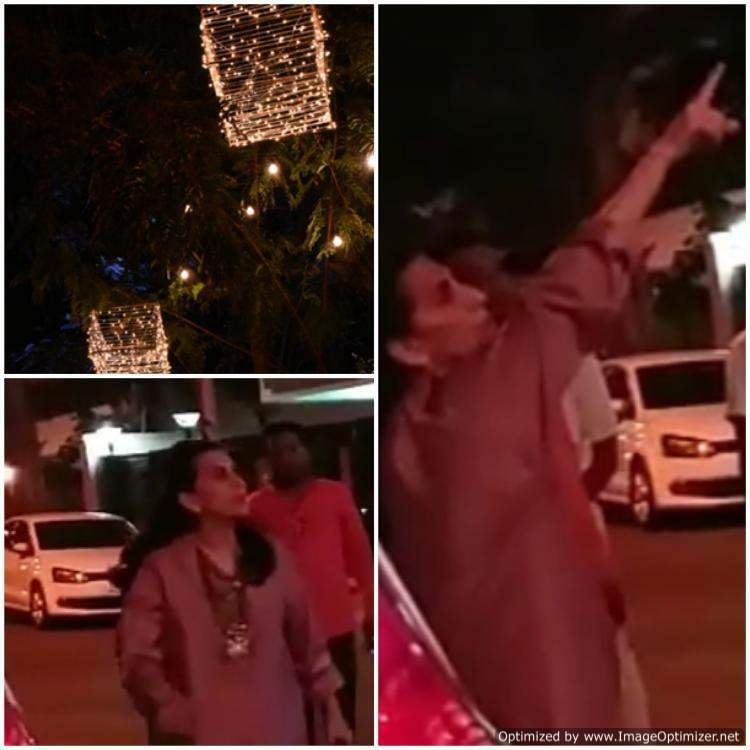 Not just that, Sonam’s mother Sunita Kapoor was spotted outside the bungalow looking over the arrangements and decorations. Although there hasn’t been any official confirmation or announcement from the Kapoor family about the wedding, These pictures unofficially confirm that Sonam is indeed tying the Knot with beau Anand Ahuja very soon. We are very excited about their wedding and can’t wait for more pictures! Previous story Do you know Kareena didn’t want to do Veere Di Wedding? Here’s who convinced her!